"He never once compromised, how many others can leave this life with such a singularity of vision?" Yesterday (January 24) the music world lost legendary Fall frontman Mark E. Smith. And while tributes continue to pour in, his ex-wife and longtime Fall bandmate Brix Smith Start has penned a touching farewell to her fallen partner. Taking to Twitter, Smith Start wrote, "He was my music mentor, my cultural anchor, and my first love. I feel deeply saddened by his passing, but I feel greater joy for having shared his journey." She went on to add, "He never once compromised, how many others can leave this life with such a singularity of vision?" Born in L.A., Smith Start met Mark E. Smith at a concert in Chicago in 1983. She later moved to the UK and married the Fall singer later that year. 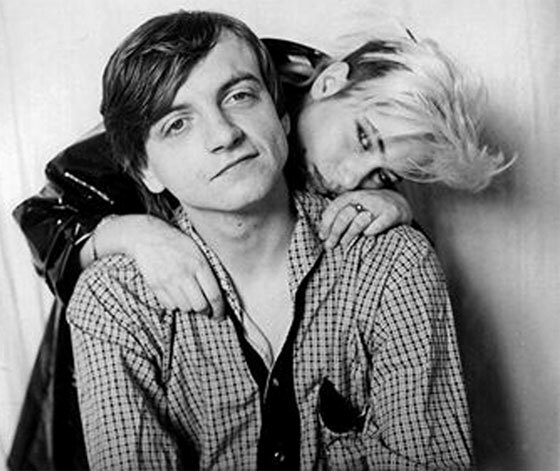 Smith Start first appeared on the Fall album Perverted by Language in 1983, providing both lead guitars and vocals. She soon became a major influence on more pop-geared, synth-flecked Fall classics such as This Nation's Saving Grace (1985) and Bend Sinister (1986). You can read her touching tribute below, which comes with a wedding photo. As previously reported, Smith's manager announced his passing yesterday. His cause of death, however, has yet to be revealed. He was 60 years old.